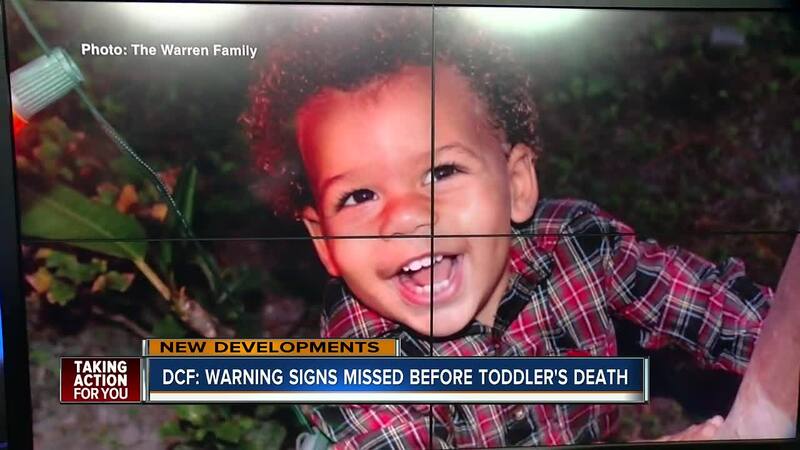 DCF has released their final report on the death of Largo 2-year-old Jordan Belliveau. According to DCF’s final report on Jordan’s two years of life under child protection, there were numerous issues with how the agencies handled Jordan’s case. 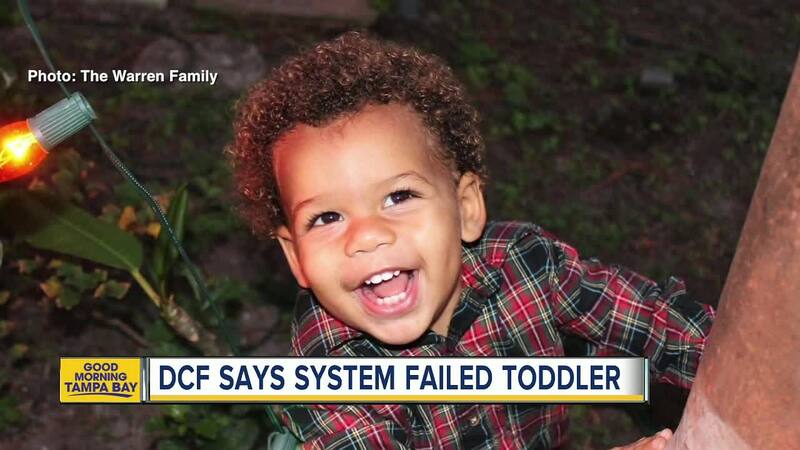 LARGO, Fla. — A special review of the case of Jordan Belliveau Jr. , the 2-year-old Largo boy who police say was killed by his mother last summer, found that DCF policies were not followed, communication was poor and "several clear warning signs were missed." Jordan Belliveau’s mother Charisse Stinson is currently in jail accused of killing her son and making up an elaborate story to cover up the crime. According to DCF’s final report on Jordan’s two years of life under child protection, there were numerous issues with how the agencies handled Jordan’s case. The Florida Department of Children and Families completed the special review on January 11, 2019 and it was released on Wednesday, January 16, 2019. Documents revealed an ongoing history of domestic violence between Stinson and her boyfriend Jordan Belliveau Sr. Case workers also had concerns about Belliveau Sr.’s affliation with gang members. “Reviewing the events that led up to Jordan’s death is incredibly saddening. Despite multiple opportunities, no one changed his circumstances. DCF policies were not followed, communication throughout the process was poor, and several clear warning signs were missed. There were even specific concerns raised that were not acted upon. This report should be a call to action for the entire child welfare system, and I intend to treat it as one,” said Chad Poppell, Secretary of the Department of Children and Families. DCF states that policies and procedures to ensure Jordan’s safety and wellbeing were not followed and there was a clear lack of communication between PSCO and Directions for Living in communicating the ongoing domestic violence between Jordan’s parents. Investigators also say there was an absence of ownership between all of the child protection officers who worked on Jordan’s case. Jordan was put in his mother’s custody in May 2018, less than 4 months before she is accused of killing him and leaving his body in a wooded area near the Largo Sports Complex. The report also shows Stinson requested to recieve anger management, but it was never included in her case plan. Although Stinson did not attend several counseling sessions or visits with a clinician, this concern was never raised to a judge before reunification was granted with her son. The documents also say the case manager was not making weekly visits as required by the safety plan. The 17-page report says "there was a noted lack of action taken by case management staff concerning Ms. Stinson's lack of communication and her failure to participate with the reunification program." Back in September, the same agency addressed some of these red flags, telling ABC Action News: "Was it an issue that would raise to the level of lets step in and remove this child now? Not necessarily," Chris Card, the Chief of Community Based Care for Eckerd Connects said. "We at Directions for Living are more than just saddened and forever changed by Jordan’s death; this case is a critical reminder of the need for constant improvement within our own agency and across our industry. The case manager who was primarily responsible for this case is no longer with our agency. However, the case manager assigned to the case at the time of Jordan’s death, who had been on the case for 5 months at that point, is still with our agency at this time. That case manager, along with every other person who was involved in this case in any way, was placed on an immediate corrective action plan last September, up to and including disciplinary action, including extensive re-training (more information below). Please note that while we immediately took this action following Jordan’s death, we too have been awaiting the release of this report to inform further steps which may be necessary to address concerns related to this case. Above all else, we want to use this opportunity to improve where needed so that we can continue to provide the most effective services possible to children and families throughout Tampa Bay. -April Lott, President & CEO, Directions for Living"
Back in September, Lott told ABC Action News during a press conference, "Everything that I have reviewed could not have predicted that this mother would murder her child."